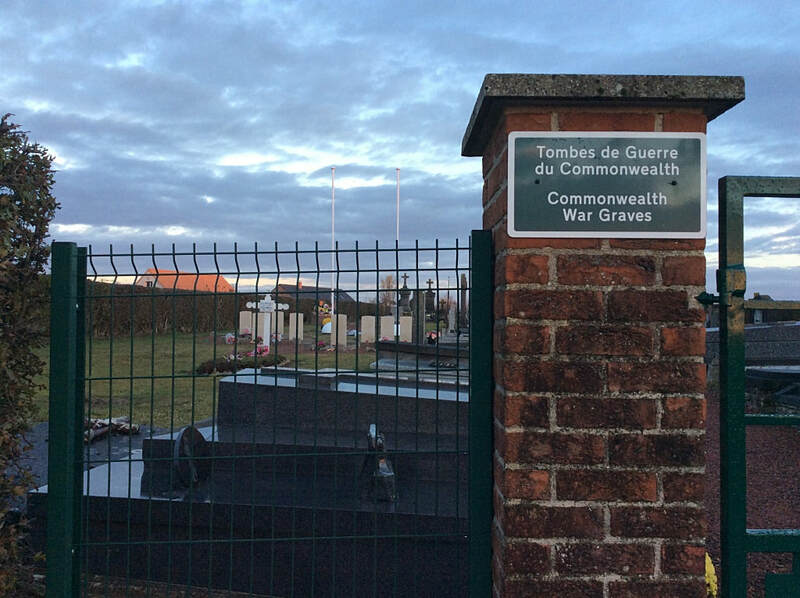 Malplaquet Communal Cemetery contains eight Commonwealth burials of the First World War. 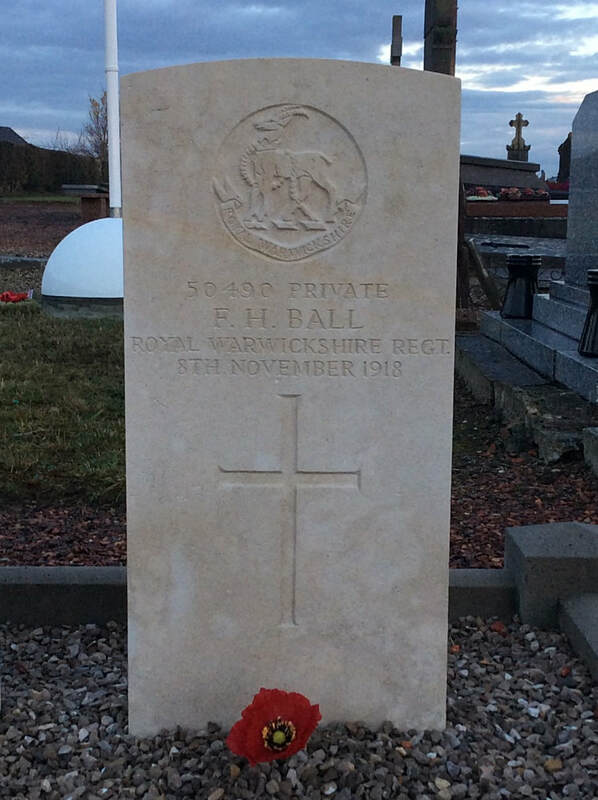 50490 Private F. H. Ball, 10th Bn. Royal Warwickshire Regiment, died 8th November 1918. 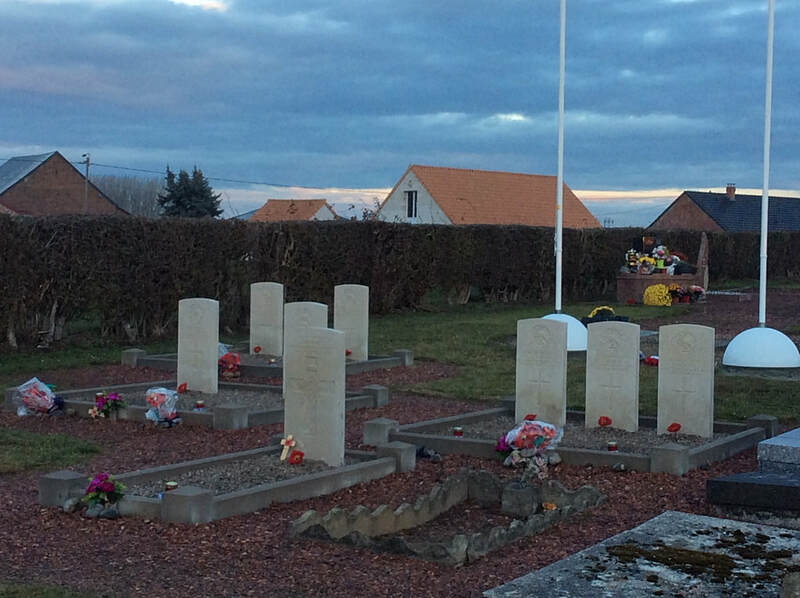 28764 Private Charles Jonah Burden, 10th Bn. Royal Warwickshire Regiment, died 8th November 1918, aged 23. Son of Mrs. Edith Connor, of 17, Gloucester Road, Boscombe, Hants. 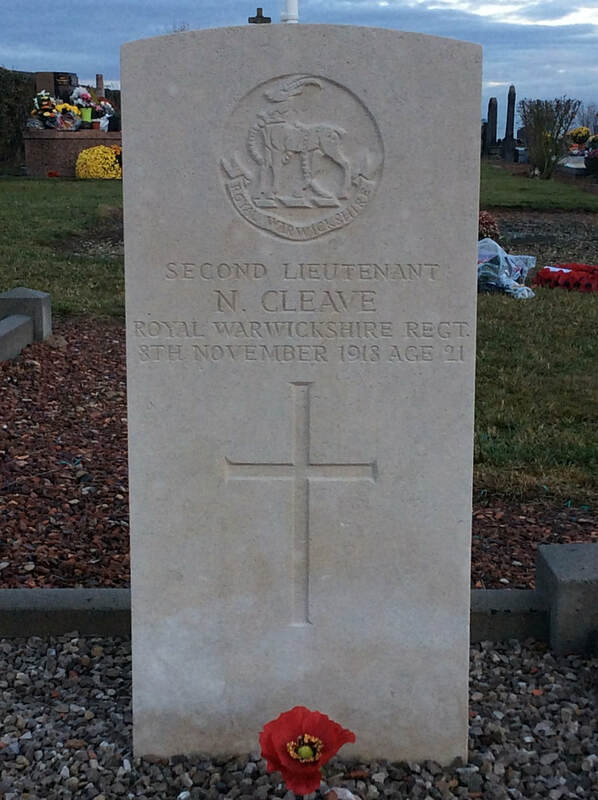 Second Lieutenant Norman Cleave, 10th Bn. Royal Warwickshire Regiment, died 8th November 1918, aged 21. Son of Mr. and Mrs. Walter Cleave, of The Bracken, Somerville Rd., Sutton Coldfield, Birmingham. 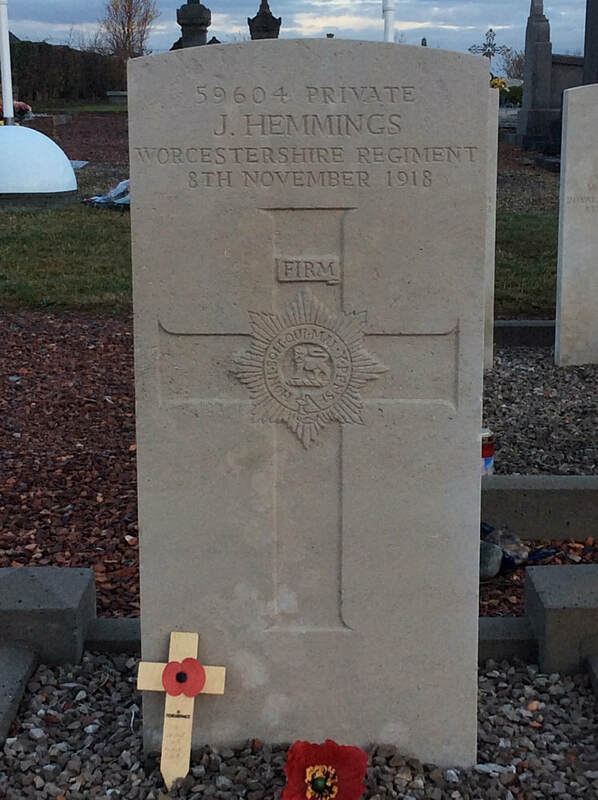 59064 Private J. Hemmings, 3rd Bn. Worcester Regiment, died 8th November 1918. 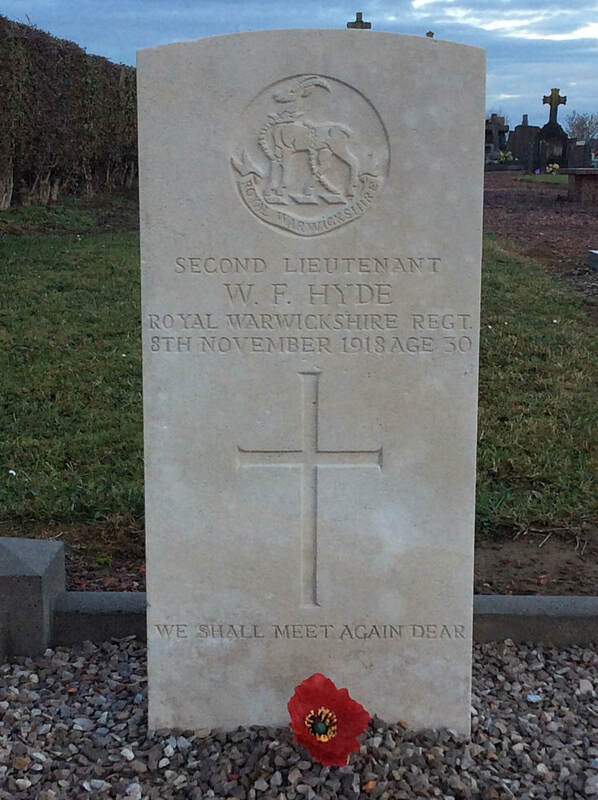 Second Lieutenant William Frederick Hyde, 10th Bn. Royal Warwickshire Regiment attached to 2nd Bn. 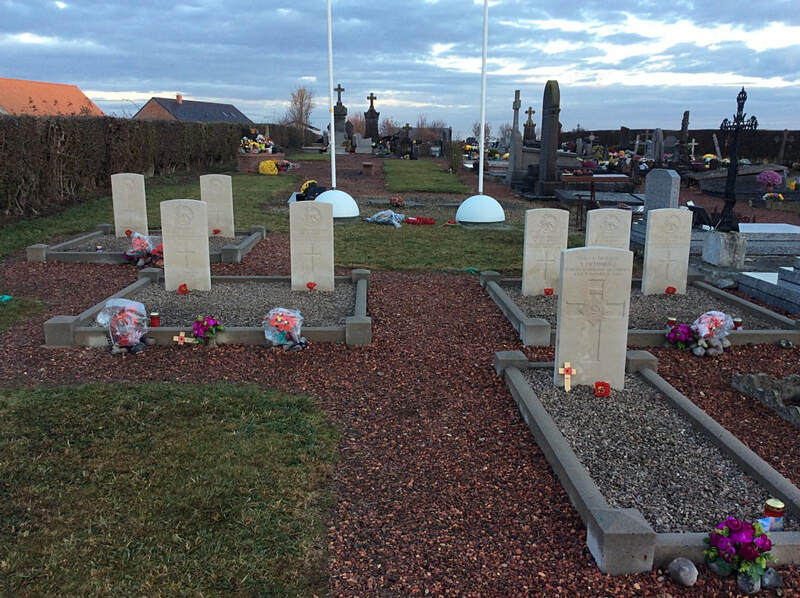 Lincolnshire Regiment, died 8th November 1918, aged 30. Son of Joseph and Lydia Eliza Hyde; husband of Winifred Maude Hyde, of 256, Aston Lane, Handsworth, Birmingham. 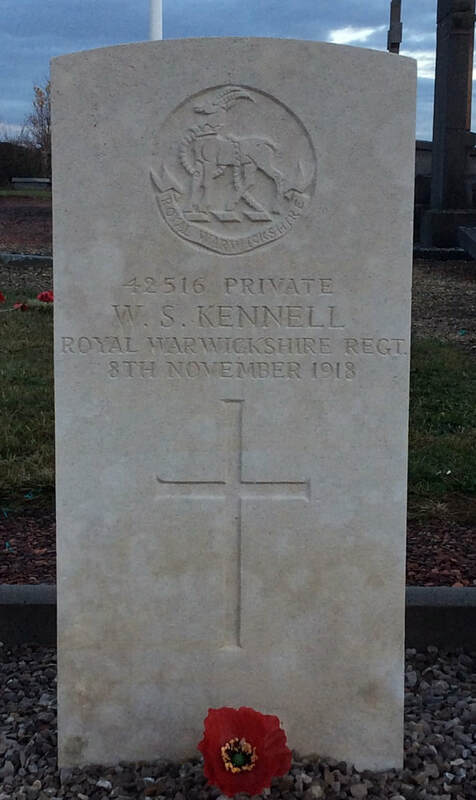 42516 Private W. S. Kennell, 10th Bn. Royal Warwickshire Regiment, died 8th November 1918, aged 33. Son of Samuel and Mary Ann Kennell; husband of Mary Annie Louisa Kennell, of 267, Baker St., Derby. 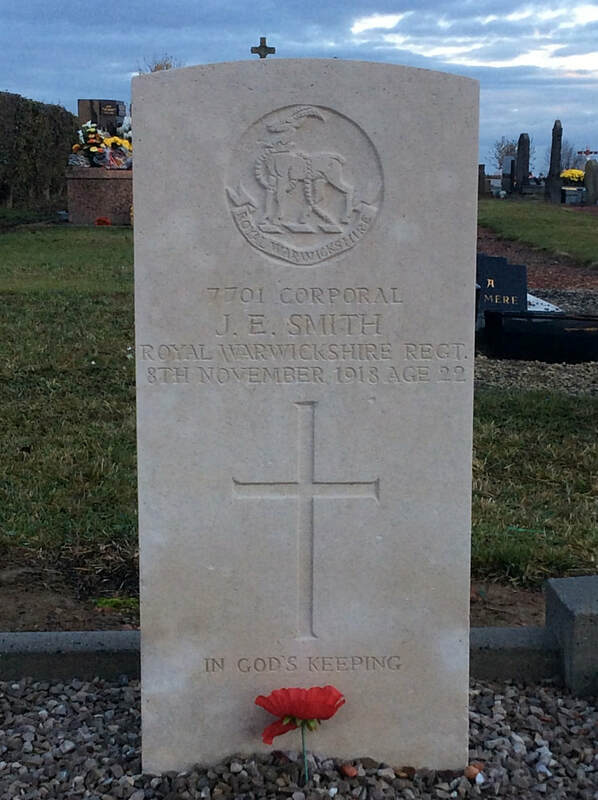 7701 Corporal J. E. Smith, 10th Bn. 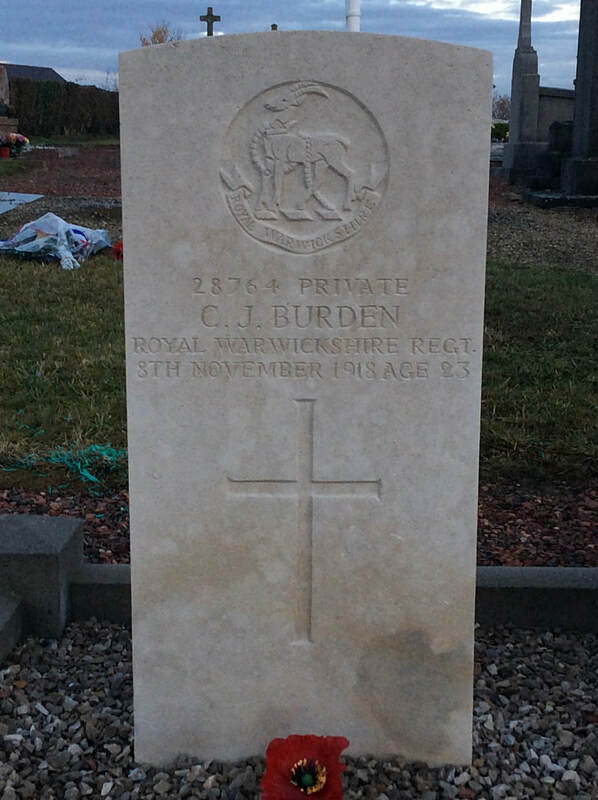 Royal Warwickshire Regiment, died 8th November 1918, aged 22. Son of Samuel and Ellen Rosa Smith, of Higham-on-the-Hill, Nuneaton. 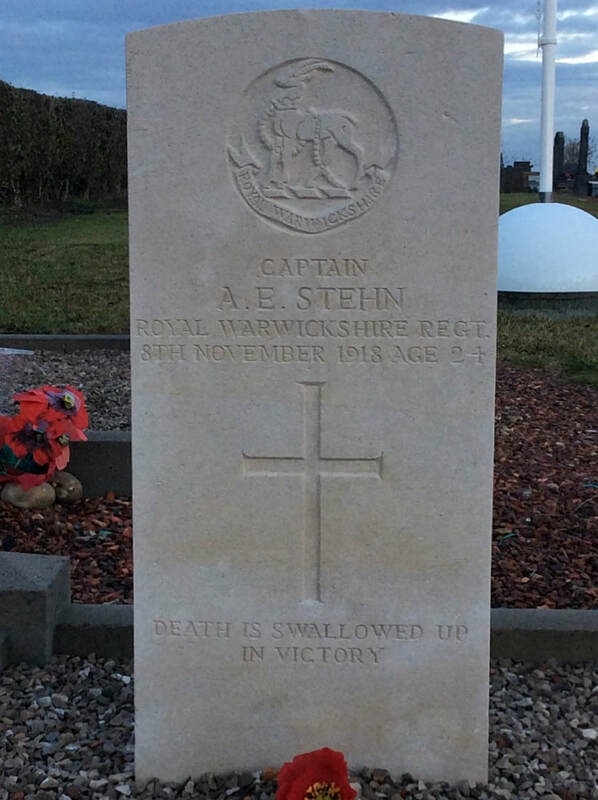 Captain Arthur Edward Stein, Twice mentioned in Despatches, 4th Bn. attached to 10th Bn. Royal Warwickshire Regiment, died 8th November 1918, aged 24. 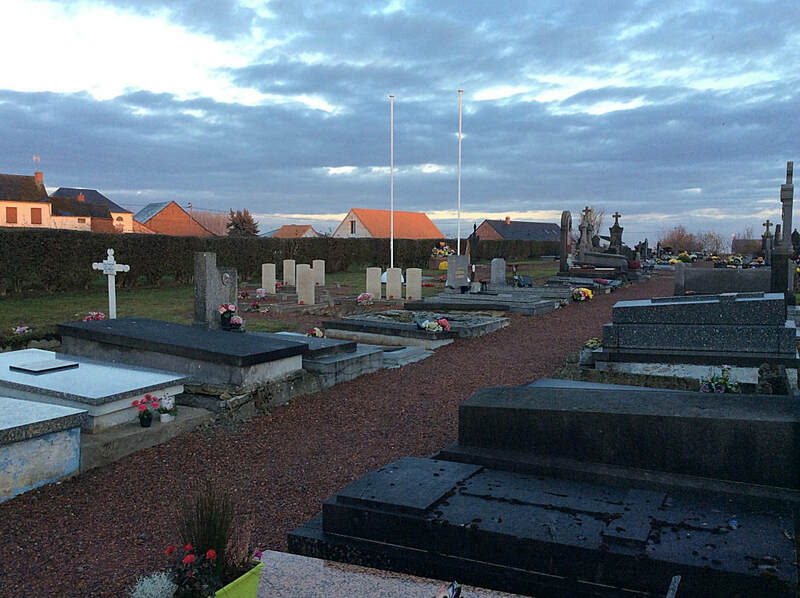 Son of George Stehn and Helenora Catherine Stehn (nee Heron-Maxwell), of Warrington, Seaford, Sussex.